Kiwis Earl Bamber and Brendon Hartley, with German team-mate Timo Bernhard, staged an incredible comeback to win the 2017 Le Mans 24 Hours. The drivers and Porsche crew never gave up even though the number two Porsche 919 LMP1 Hybrid was, at one point, 19 laps off the lead and second to last in the standings, and then won the famous race by a lap over the nearest car. Bamber, originally from Whanganui, is now a two-time Le Mans winner, adding this win which has been described as ‘a comeback of remarkable proportions’ to his 2015 Le Mans victory. Hartley, originally from Palmerston North, adds his first Le Mans win to his already impressive race résumé which includes the 2015 world endurance championship title. Back home in New Zealand, motorsport fans have saturated social media with their congratulations for the star Kiwi drivers, which added to an exciting weekend of international motorsport for Kiwis with Scott McLaughlin and Fabian Coulthard securing race wins at the latest Supercars round in Darwin. 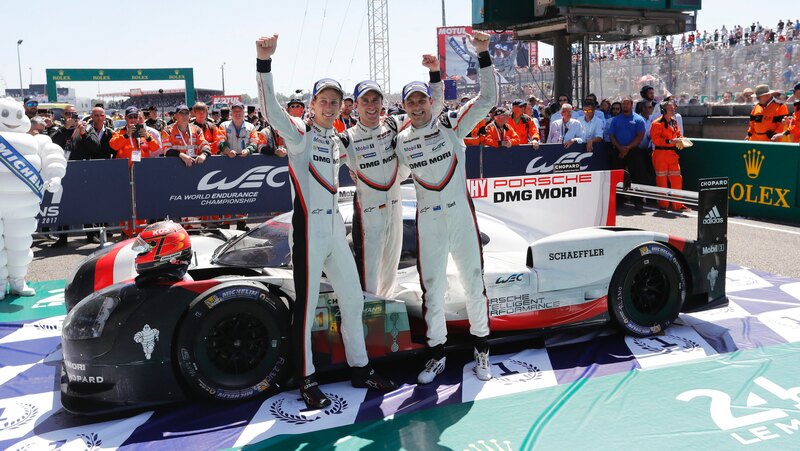 MotorSport New Zealand CEO, Brian Budd says: “Brendon Hartley and Earl Bamber’s win of the Le Mans 24 Hour Race was a fantastic effort and again highlights the fact that New Zealand continues to punch above its weight on the international motorsport stage. “It’s also fantastic to see IndyCar super star Scott Dixon, driving for Ford Chip Ganassi Team USA, and Aston Martin factory driver Richie Stanaway both finish this year’s Le Mans race in the top 10 of the GTE Pro category. To finish this race is an achievement that can not be underrated. “Across the Tasman, New Zealand competitors continue their dominance in the Australian V8 Supercar Championship with Fabian Coulthard leading by 10 points from Scott McLaughlin, and fellow Kiwi and defending Supercars champion Shane van Gisbergen in fourth. Budd also notes two key links in the formative years of Bamber and Hartley’s careers. “Both Earl and Brendon raced in the Toyota Racing Series with Earl the youngest winner of the Lady Wigram Trophy at age 17, until 16-year-old Lance Stroll won it in 2015. Brendon was the first-ever winner of a TRS race.